Alysa offers Individual Counseling, Personal Well-being Sessions, & Intuitive Tarot Sessions through her organization, HomeWellnessPDX. "I am formally trained in DBT, CBT, Exposure Therapy & Mindfulness. Counseling sessions are for anyone experiencing significant and reoccurring issues. My approach is to help clients get out of emotional and mental ruts to decrease suffering and use healthier strategies to rebuild their lives. People with anxiety, OCD, depression, eating disorders, or trauma would benefit from this service. Further, if you are doing "okay" but feeling tired, uninspired, disconnected or just not yourself, it is a good time to consider a well-being session instead. If you had a recent heartbreak, are having trouble meeting a romantic partner or making friends, feel uncomfortable in your own skin, or are not finding that your life resembles your ideals, let's meet. You may write me at Alysa@Homewellnesspdx.com with any questions or to speak before meeting. Find out more about my services & community wellness initiative at Homewellnesspdx.com/wellness-sessions-with-alysa." Regarding her style, Alysa has been noted to have a warm, calming presence and to speak in an authentic and bold way. She is not afraid to ask intimate questions and talk about hard things. She is spiritual yet grounded and is known for fully holding space for others and always embracing what is present. 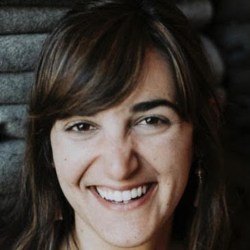 Alysa's practice is a blend of mindful and behavioral therapy with a connection to heartfelt wisdom and inner guidance. She helps her clients understand how to take care of their minds and hearts both individually and in the support of strong relationships. Alysa says her most cherished experience is when people feel comfortable telling their true story. To me, spirituality encompasses the practice of asking life's big questions like: "Why are we here?" and "Am I happy?" or "What is my intended work and purpose?" and "What do I really believe in?" Inviting a spiritual connection into a counseling space can be helpful in getting to the heart of the matter instead of skimming the surface and making internal and environmental shifts that truly feel like you and last a lifetime. I work with clients with recurring relational issues or current relationship concerns. This includes friendships, romantic partners, family, etc. If you are having trouble connecting to people in your life that share the same values, or navigating your individual desires amidst expectations in a relationship, or feeling that your feelings are frequently impacted by others, let's work together on taking inventory of your current relationships, setting helpful boundaries, and accessing the right people for you.